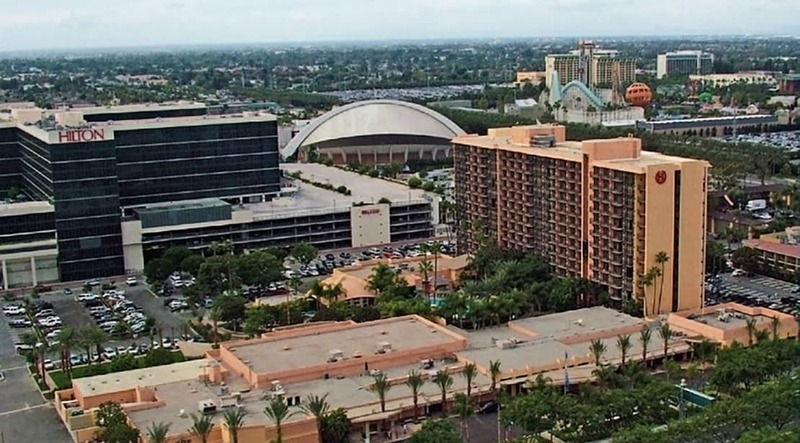 Northwest Hospitality purchased this Anaheim, California hotel overlooking Disneyland. However, before it could be established as a Sheraton hotel, numerous improvements were necessary. First, a canopy was needed over the entranceway at the front of the building. Because the existing building structure had a built-up roof, Northwest Hospitality asked the contractor, Prime Waterproofing, Inc., to install a built-up roofing system and paint it a tan color. Paul LaHaye, CEO of Prime Waterproofing, suggested that they instead install a FiberTite roof for its longevity, energy savings and low maintenance. Specializing in re-roofing complex roofs on restaurants, hotels, banks and retail establishments, Prime Waterproofing offers roofing contracting services throughout California and Hawaii. After the canopy project was complete, the owner was very pleased with the results. So pleased, in fact, that they elected to re-roof some smaller canopies. Later, when multiple leaks were identified throughout the building, they decided to re-roof the entire 25,000 square foot building structure with a new FiberTite roof. FiberTite is constructed with the heaviest denier (strongest) yarn in the industry, which provides superior puncture and tear resistance. Next, a unique adhesive coat is applied to the base fabric, which forms a molecular bond and encapsulates each yarn. This extra step maximizes peel resistance and seam strength. The face coat includes DuPont Elvaloy as the base polymer, along with other proprietary chemicals, to provide superior UV and chemical resistance as well as long-term flexibility. In fact, FiberTite was used as the standard to set ASTM D6754 for KEE membranes. The back coat is a balanced coating, which offers superior welding properties and maximizes seam strength.